Mitochondrial homeostasis is tightly regulated by two major processes: mitochondrial biogenesis and mitochondrial degradation by autophagy (mitophagy). Research in mitochondrial biogenesis in skeletal muscle in response to endurance exercise training has been well established, while the mechanisms regulating mitophagy and the interplay between mitochondrial biogenesis and degradation following endurance exercise training are not yet well defined. 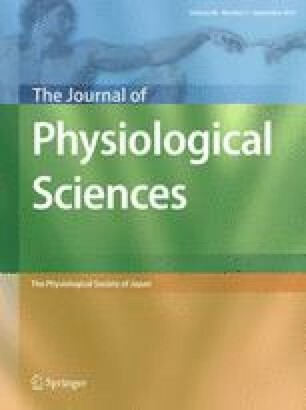 The purpose of this study was to examine the effects of a short-term inhibition of autophagy in response to acute endurance exercise on skeletal muscle mitochondrial biogenesis and dynamics in an exercise-trained condition. Male wild-type C57BL/6 mice performed five daily bouts of 1-h swimming per week for 8 weeks. In order to measure autophagy flux in mouse skeletal muscle, mice were treated with or without 2 days of 0.4 mg/kg/day intraperitoneal colchicine (blocking the degradation of autophagosomes) following swimming exercise training. The autophagic flux assay demonstrated that swimming training resulted in an increase in the autophagic flux (~100 % increase in LC3-II) in mouse skeletal muscle. Mitochondrial fusion proteins, Opa1 and MFN2, were significantly elevated, and mitochondrial fission protein, Drp1, was also increased in trained mouse skeletal muscle, suggesting that endurance exercise training promotes both mitochondrial fusion and fission processes. A mitochondrial receptor, Bnip3, was further increased in exercised muscle when treated with colchicine while Pink/Parkin protein levels were unchanged. The endurance exercise training induced increases in mitochondrial biogenesis marker proteins, SDH, COX IV, and a mitochondrial biogenesis promoting factor, PGC-1α but this effect was abolished in colchicine-treated mouse skeletal muscle. This suggests that autophagy plays an important role in mitochondrial biogenesis and this coordination between these opposing processes is involved in the cellular adaptation to endurance exercise training. The authors thank Yolanda Mathews for critical reading of the manuscript. This work was done with the sports promotion fund from Korea Institute of Sport Science, Korea Sports Promotion Foundation (KISS-13-A02002) and the National Research Foundation of Korea Grant funded by the Korean Government (NRF-2013-332-2013S1A5A8021905).